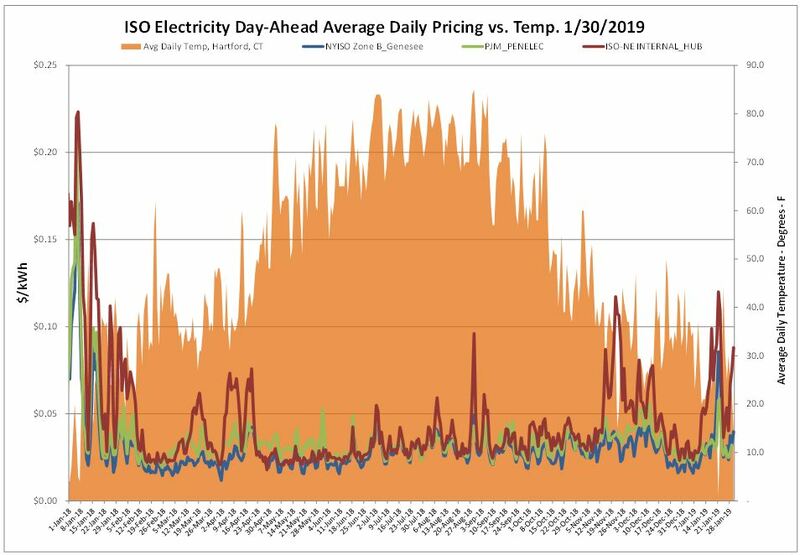 Electric prices throughout ISO-NE, NYISO and PJM all continued to drop off over the report week while Texas remained fairly flat. Earlier in winter, the markets had briefly touched these levels but then regained ground. Although it’s been cold, it has been in relatively short durations. Most of the price volatility has been sustained on the day-ahead market only, as prices continue to spike and retreat. The February prompt month settled at $2.95. This is the lowest February settlement price since 2016. The market didn’t seem to have overreacted to the extreme cold temperatures. 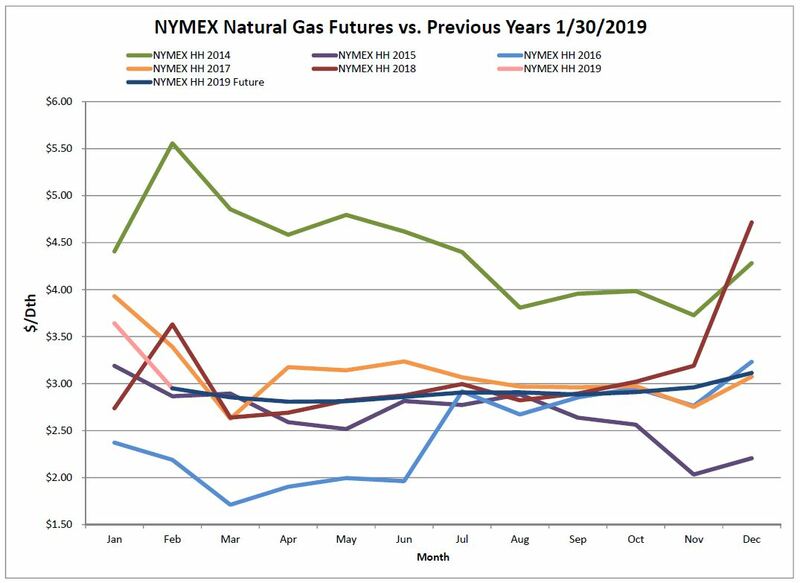 Instead, natural gas futures looked forward into February where warmer weather and strong productions have put downward pressure on the prompt month and beyond. 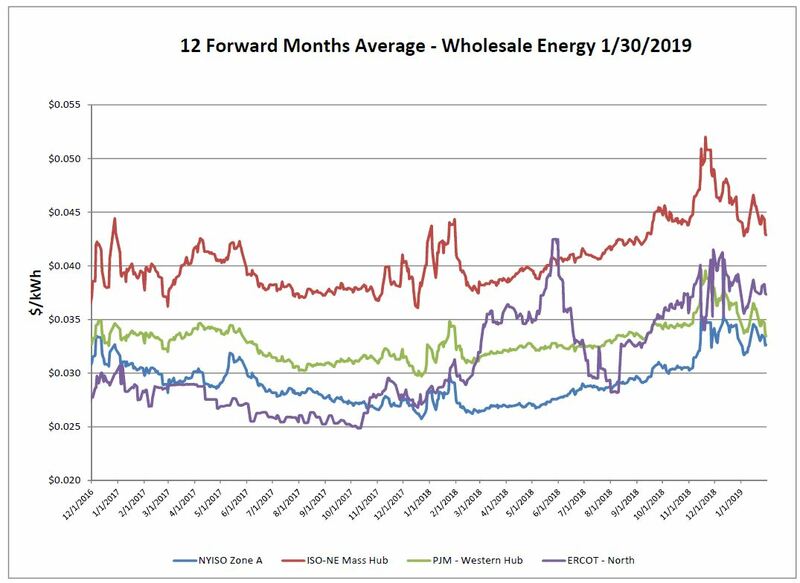 As of Friday, January 25, 2019, working gas in storage was 2,197 Bcf. According to EIA estimates this represents a net decrease of 173 Bcf from the previous week. This is a bit below expectation which centered around 198 Bcf. As the polar vortex moved throughout the Midwest and Northeast, ResComm demand increased. 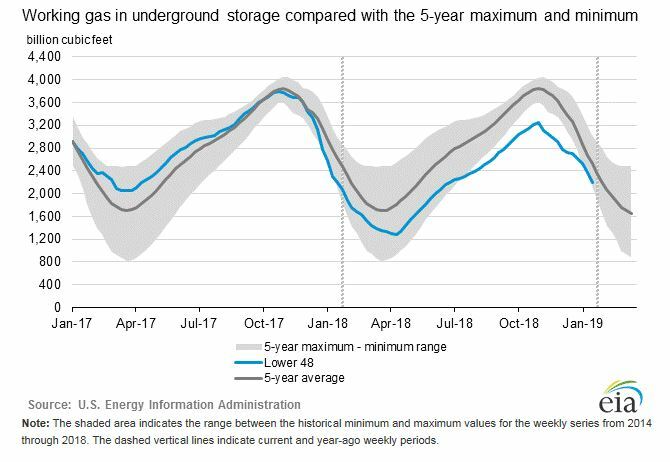 The current surplus of natural gas in storage appears to be short-lived as the next few reports will likely show withdrawals greater than last year, putting us back into deficit territory. 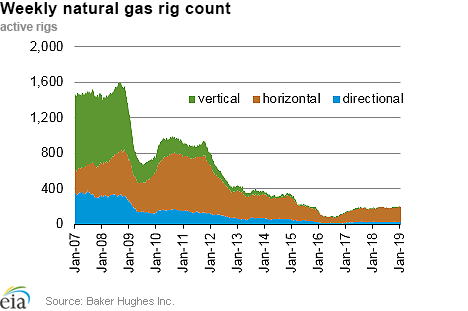 The Baker Hughes exploration gas rig count increased 1 rig from last week for a total of 198 rigs. This is 17 more rigs than were in operation at this time one year ago when there were 181 rigs. Extremely cold conditions drove up demand for heating over the past few weeks. 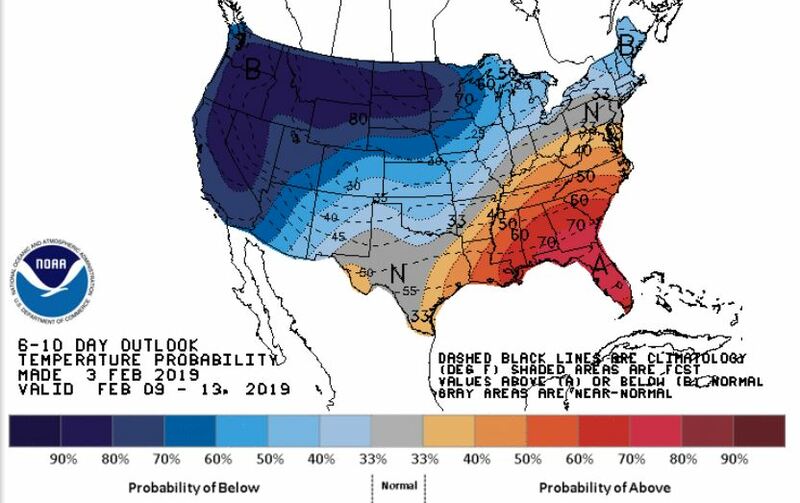 Over the next several days and into mid-February, forecasts are anticipating the west coast to experience temperatures much below normal. The Midwest and Northeast will also continue to see temperatures unseasonably cool. Those in the southern states will see things warm up.